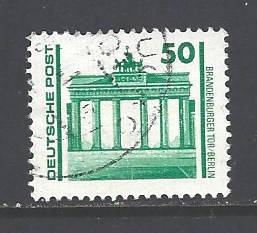 The top stamp, and others like it can be confusing as they are from the German Democratic Republic near the time of reunification in 1990. 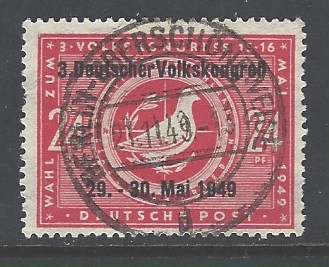 The previously familiar "DDR" was replaced with "Deutsche Post". 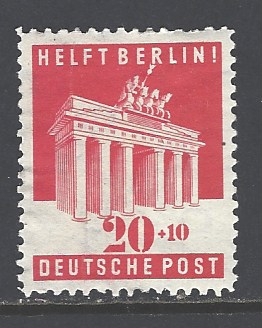 Remember that the then West Germany can be identified as "Deutsche Bundespost". 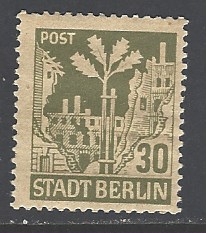 Anyway, the stamp is German Democratic Republic Scott #2834. 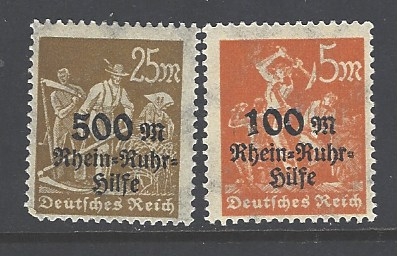 The second stamp is Germany Scott #B303.